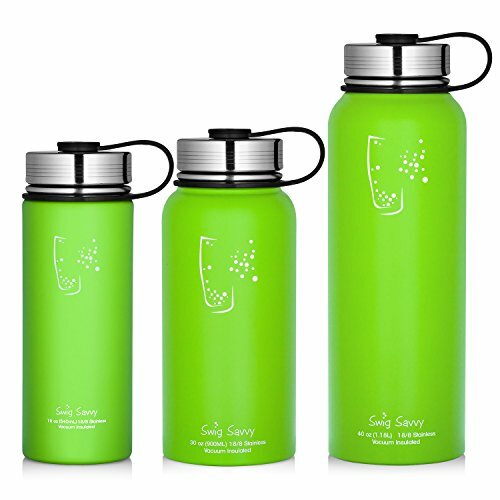 THE PERFECT SOLUTION FOR YOUR HOT & COLD BOTTLING NEEDS - Swig Savvy's vacuum-insulated water bottles are made of high-quality food-grade 18/8 stainless steel, protecting the quality and temperature of the stored liquids. Free of BPA and phthalates, the heavy-duty interior coating repels lingering flavors to enable constant reuse without any after-tastes. POWDER-COATED, DURABLE FINISH -Our bottles have a stylish look and durable exterior that's designed to last. It features a practical wide-opening design for easy holding, refilling, pouring and drinking. STAINLESS STEEL LEAK-PROOF LID - Unlike other companies, Swig Savvy's bottle features an stainless-steel lid so your liquids won't come in contact with any plastics. 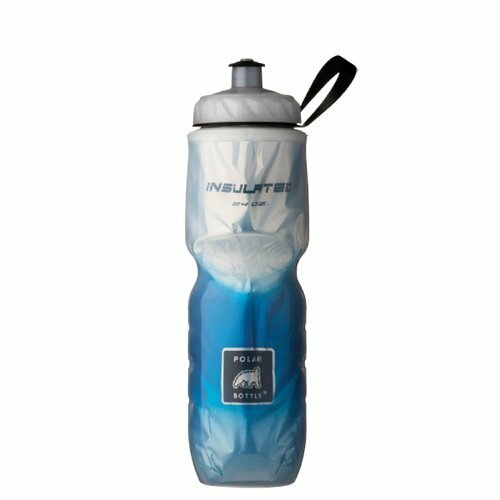 The air-tight seal lets you safely take a refreshingly cold or invigorating warm drink with you while traveling, at the gym or wherever else you go!